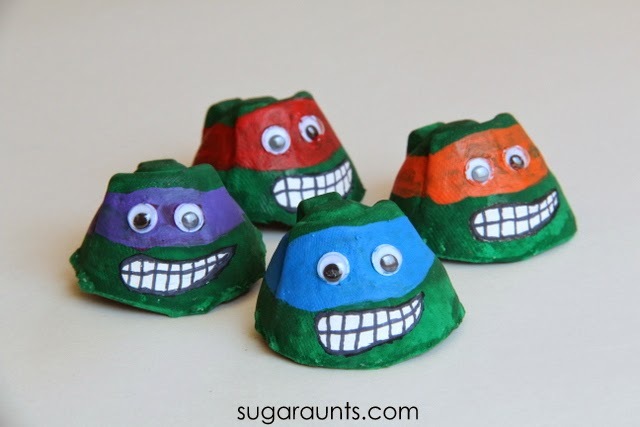 Teenage Mutant Ninja Turtles are a big part of Little Guy's pretend play and fun on a daily basis. He's got the action figures and sets up battles with them, pretending all kinds of ninja action. 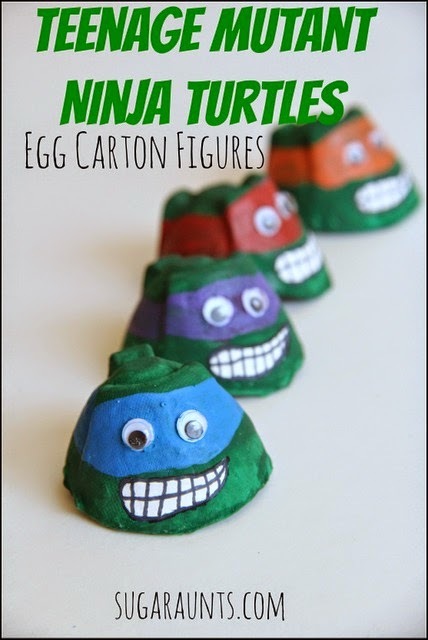 If you've got a ninja turtle fan in your house, these egg carton figures are the thing to make! We've been playing with these pretend play figures every day for a couple of weeks now...even taking them outside for some ninja turtle fun. They have battled superman, been victims of his lasso skills, and met a few worms. These guys are making their rounds in our house lately! 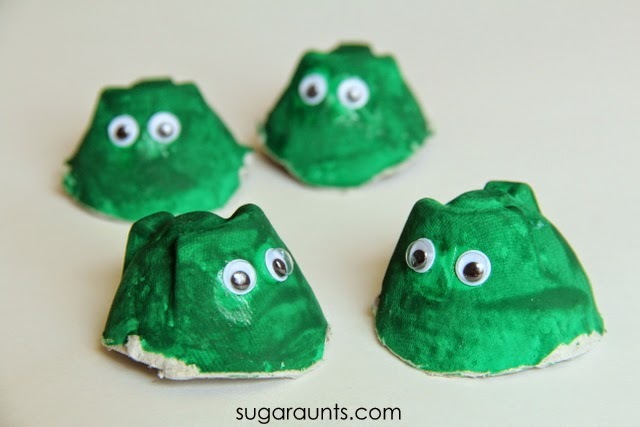 We used wiggly eyes that we received free from our friends at craftprojectideas.com. A little glue on these guys and they were ready for painting. For the masks and mouths, I used acrylic paints for a nice and bright color. 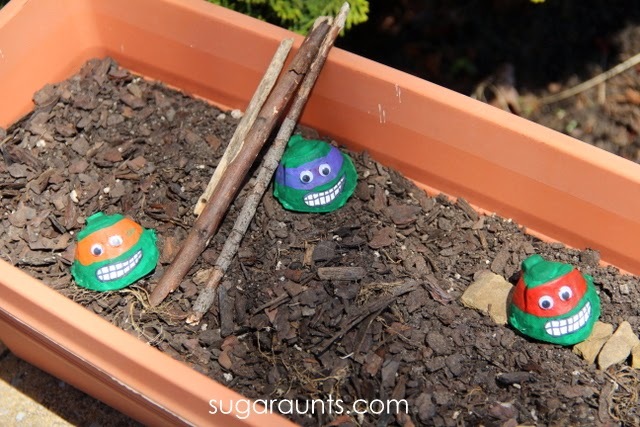 They are looking pretty cute for a bunch of mutant turtles with mad ninja skills! These guys were immediately a hit with Little Guy. 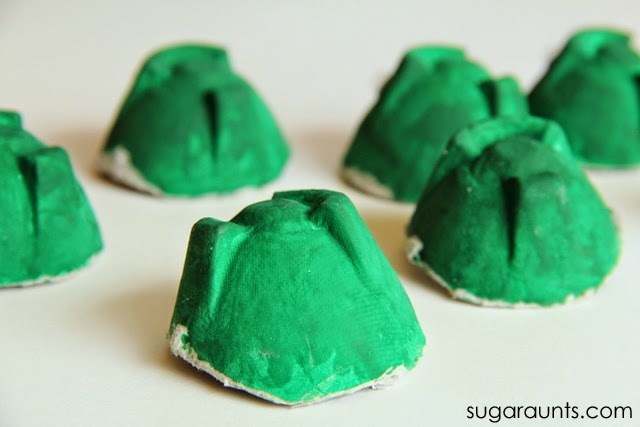 They were easy to make and basically free, using paints that we already had. 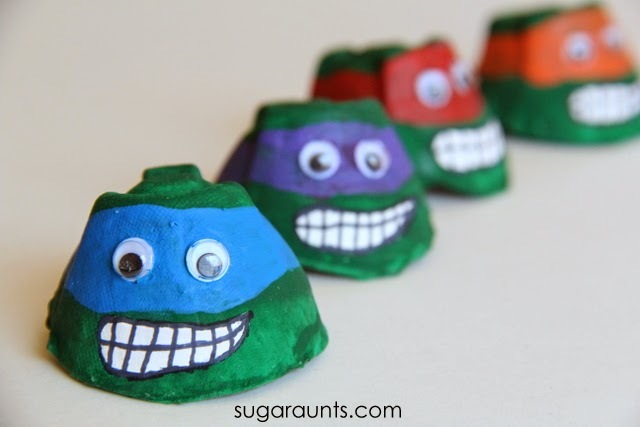 These would be a fun addition to a Teenage Mutant Ninja Turtle themed birthday party too. We had a TMNT that we had a teenage mutant ninja turtle party for his fourth birthday...and he talks about it allllll the time. 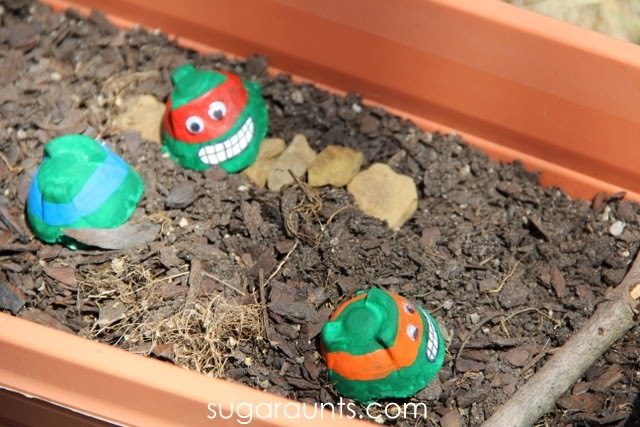 We took them outside and have been playing with our TMNT guys in the dirt, with sticks and stones. Little Guy made a pizza shop using sticks and a sidewalk with rocks. LOVE the pretend play happening here! Little Guy loves his "ninja turtle egg heads" and we've been having so much fun! Let us know if you make these. We would love to see how you're playing! Stop by our Facebook page and share with us! 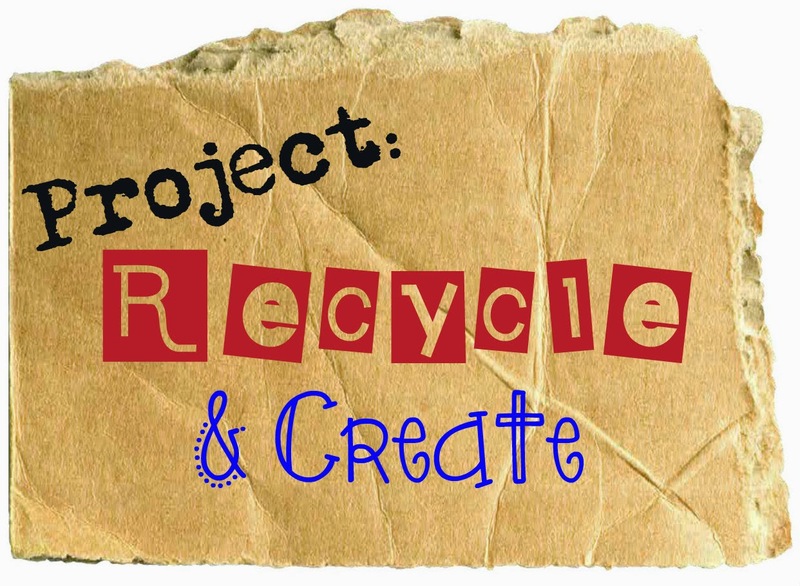 This post is part of the monthly Project: Recycle & Create series with some fabulous bloggers. Stop by and say hello!